The Red Wing Republican Eagle reports Sarvi sets his sights on Congress. Sarvi is compared to Walz by DFLers, and today marks his first day as a fulltime candidate. Go over to Steve's site and show him some greenback love. Consider volunteering. . . .Sen. Amy Klobuchar and Reps. Tim Walz and Michele Bachmann say they were blown away by real estate prices in Washington, where one-bedroom apartments start at $250,000 and rent averages at $1,100 a month.. . .
. . .In 2006, it cost about $80,000 a year to live in the DC metro area, while the cost of living hovered around half that in Minneapolis. While no member of Minnesota's freshman class is poor — Klobuchar, Ellison and Bachmann all have law degrees, while Walz was a high school teacher — they're not independently wealthy like former Sens. Rudy Boschwitz or Mark Dayton, whose net worth was nearly $4 million in 2003. . . .
. . . The Minnesota delegation has also cultivated their own money saving techniques for living in the city. Like Ellison, Walz moved to an efficiency apartment after sharing a place with another member of Congress that cost as much as his mortgage in Minnesota and provided about a quarter of the space. "It was a hole in the wall," he said. Walz says that all the annoyances that go along with being a member of Congress are "just part of the job." To the U.S. Mint and the Bush administration for yet another attempted executive-branch power grab. 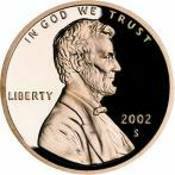 Article 2, Section 8 of the Constitution explicitly gives Congress the power “to coin Money (and) regulate the value thereof.” Legislation that passed the House Thursday that would change the metallic composition of the penny and nickel — a measure intended to make it cheaper to make those small-denomination coins — is being opposed by the White House in part because it only allows the Treasury Department to suggest a specific composition rather than make the decision on its own. The measure thus reserves to Congress a power the Constitution allots to Congress. The administration should live with that fact. The Austin Daily News editorial board writes that The future of ethanol is more than just corn. The Fairmont Sentinel reports Coleman praises farm bill. Blenders credit for cellulosic ethanol from 51 cents to one dollar per gallon. “I want to thank both National Farmers Union President Tom Buis and House Agriculture Committee Chairman Collin Peterson for working and fighting so hard for family farmers. I am optimistic that their hard work will pay off and this farm bill gets passed and signed by the President,” said MFU President Doug Peterson . The farm bill is scheduled to be on the House and Senate floor Wednesday, May 14th. It is not clear whether or not President Bush will sign the bill. More details about the provisions of the bill will be available as it moves through the process. Minnesota Farmers Union is a membership based organization that works to protect and enhance the economic interests and quality of life of family farmers and rural communities. Rummaging through a bin of camisoles at the local department store’s semi-annual sale seems so uncongressional. It’s the kind of shopping one imagines would be more common among low-level Hill aides than dignified lawmakers. But Rep. Michele Bachmann (R-Minn.) isn’t above such plebeian mall activity. Being a gentleman, I will not comment on bottomfeeder statement.